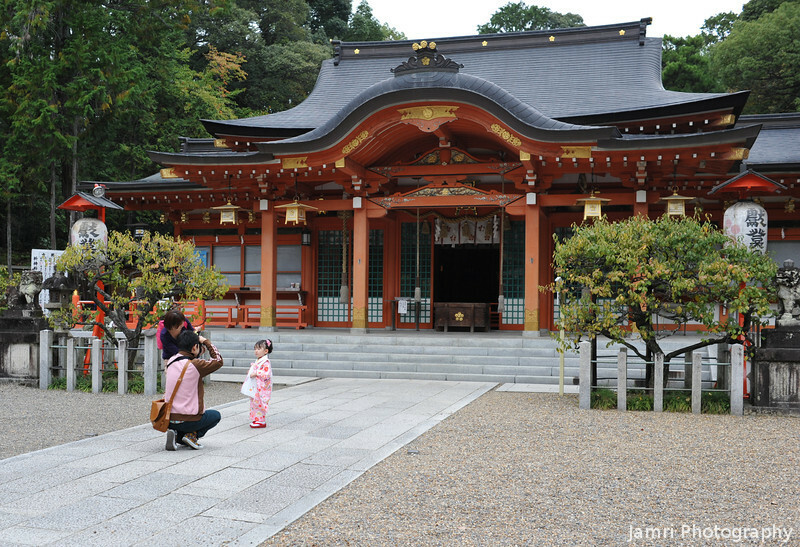 A young girl wearing a kimono poses for her father to take a photo outside the main Shrine Building of Nagaoka Tenmangu Shrine in Nagaokakyo, Kyoto Prefecture, Japan. She is probably there to receive her three years old blessing, but I didn't see the priest around while I was there. Oh, I love that you've included the father photographing his little angel!